It’s significant to remember that there are two kinds of pride. One is positive – it’s good and natural to be proud of one’s just deeds, or of our loved ones. The other is the worst of the seven deadly sins out of which all of the others arise. It’s this kind of pride that is paralyzing and leads us to cruelty. People who are too proud to act according to their conscience and do what is right, because it would be seen as their weakness, are guilty of this kind of pride. The remedy to it is humbleness, and Darcy later says that he was properly humbled by Lizzy. Of course Darcy always knew the difference between the two kinds of pride, but he thought he was proud only in the positive way. Lizzy proved him wrong. It wasn’t Wickham who made Lizzy so much prejudiced against Darcy, it was Lizzy who used Wickham to build her own prejudice and save herself from Darcy, so she discarded everything good that Wickham said. Mrs. Reynolds said the truth, if a bit biased (which the Gardiners noticed with amusement), but earlier Lizzy had ascribed every possible ill motive and its effects to Darcy’s pride, and if she had met Mrs. Reynolds before Hunsford she’d likely discard her testimony, just as she discarded Bingley’s. After all Lizzy didn’t learn anything new from her, but she heard what she wanted and needed to hear at that time. Darcy’s improper pride didn’t occur in his dealings with his family, servants, or friends. It occurred only in his dealings with Elizabeth, the woman he loved and wanted to marry. If he didn’t change his attitude, and Elizabeth accepted, the marriage would be a disaster, but otherwise he was a very good man. Mr. Bennet, Mr. Palmer, and Mr. John Knightley were good men in general, but they treated their wives awfully. What Darcy tells Lizzy about his pride after his second proposal refers only to that. As much as he loved his father, he was always second in the man’s affections, after Wickham of course. While his mother steadily reinforced in him the image of what a Darcy should be. Lady Catherine, Colonel Fitzwilliam and Georgiana also referred to Darcy with the deference his position gave him. If you remember, Georgiana’s affection for him lost to Wickham. It was only his position as her guardian and a father figure that led her to tell him the truth. He might not have been the most beloved son, nephew, cousin, or brother, but his position would remain unshaken. So his position, rather than his own self, began to determine his own worth, and how he saw himself. After reading Darcy’s letter Lizzy thinks that she had never known herself, but her reply to Darcy during the proposal, when analyzed by him later, must have had the same effect on him. Darcy didn’t love her against himself. His love for her was most sound. She suited him perfectly in character, intelligence and disposition, not to mention the strong sexual attraction. 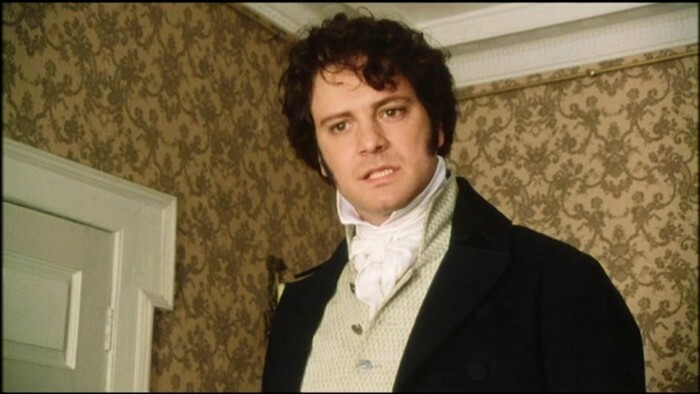 But she didn’t fit the image of Mr. Darcy of Pemberley that was instilled in him by his family. He could have friends with money from trade and no one would care, but a wife like Lizzy would have to pull him down. While his personal worth, as he was taught, was not in his own qualities, but in the very position given to him by birth, and in adhering to what the position required of him. By going against it he’d lose all he had, or so he thought at that time. His pride then, or rather his entire image of himself, is something that he must revaluate. he doesn’t mean his manners. The word `temper’ didn’t yet mean anger as it does now. `Temper’ was the good proportion of all qualities of one’s character. Like the ability of keeping his pride under the good regulation of mind that Darcy spoke of to Lizzy at Netherfield. Thanks to Lizzy he recognized that he had failed. He let the image of him other people had rule over his own principles. His feelings for Lizzy were natural and just and in accordance with himself, his opinion of them was not. It’s one thing to be a servant to a fair master who knows how to be kind and keep his ill humours to himself, and a completely different one to be the wife of a man who loves us but loathes everything we represent. Mrs. Reynolds might have never heard a cross word from Darcy, but Lizzy did. If he married her he’d be happy to have her in private, but ashamed of who she was when among his acquaintances. He decided that his own happiness was more important than the society yet before Hunsford, he wouldn’t propose otherwise, but he needed Hunsford to see how wrong his own thinking was, and to revaluate his system of values. He’s not blind to the shortcomings of Lizzy’s family at the end of the book, but by then he knows that it doesn’t really matter. His marriage to Lizzy is no longer a degradation in his eyes, but a great gain. Paradoxally, people often think that P&P is a kind of Cinderella, because Lizzy gets her Prince Charming, but in fact she’d be as happy with Darcy living at the Hunsford parsonage. It was Darcy who needed to marry lower much more than Lizzy needed to marry higher, or he’d never come to know himself. When Darcy refers to his ungentleman-like manners he doesn’t mean his behaviour in general (his manners were always well bred, and I’d argue that better than any other man’s though not as amiable), but his behaviour to Lizzy during the evening at Hunsford. He insulted her, the woman he loved, because of his pride of his position. I think he’s right and dead serious about it. What if they had married back then? How often it would happen again, and especially after some years of marriage when his passion would no longer be so strong, and her family only more annoying? The Hunsford proposal would repeat again and again. His every critique of her family would be read by Lizzy as his critique of herself. He’d think her stupid for not seeing the obvious, she’d think him proud and arrogant. All their happiness that might have been built on the things they had in common would be poisoned by their awareness of the inequality of their positions. They both needed Hunsford to meet halfway. But when he speaks of his vanity that led him to believe that she’d accept his proposal, Lizzy doesn’t let him go with it. She says that her manners must have been at fault. Here of course he shows his lack of security, because she had refused him before and it must have been a blow, but he wasn’t vain thinking that she would want him. Consciously or not she gave him a lot of encouragement. What’s most important Hunsford didn’t just teach him that he needed to reject his old opinions and ill-founded pride in order to live in accordance with his own conscience and feelings. It taught him that Lizzy could love him only for his real self, not for the general image of him like the members of his family did. Lizzy gives him the one thing he always wanted. Lizzy really saved Darcy. Thanks to her his pride began to be only the proper one. He must have felt freed and rewarded by her acceptance of him as he was, and, well, yes, very proud of her, and of himself for deserving her. P.S. As to Mrs. Reynolds’s testimony of Darcy. If you read Collins’s testimony of Lady Catherine you’ll see that he says almost the same things the housekeeper did. 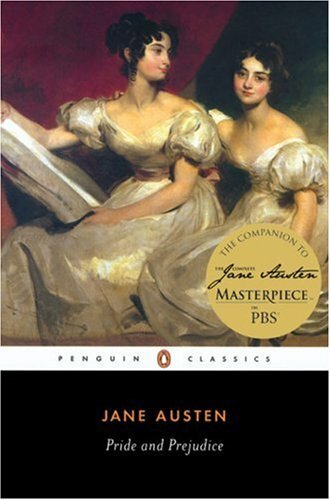 The only difference is that Mrs. Reynolds knew Darcy since he was 4, and Collins knew Lady Catherine for some 4 weeks. P.S.2 Collins himself is a mixture of pride and humbleness, and we can see their effects when they are ill-applied and in wrong proportions in Collins and Darcy’s respective attitudes towards Lizzy after she refused their proposals, or towards Lydia and the Bennets during the affair with Wickham. Thank you! I’ve never really appreciated the subtleties of Darcy’s pride before, so this was really useful. I’m happy you liked it, Jane!